These days, we often come across the term ‘Modinomics’ in the mass media. 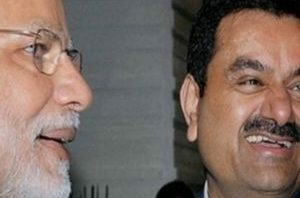 Recently, after the Seoul Peace Prize to Prime Minister Modi was announced, the spokesperson of the Ministry of External Affairs Mr. Raveesh Kumar tweeted by saying that Modi received the award for his contribution to high economic growth in India and world through ‘Modinomics’. Even during the 1990s and 2000s, when Dr. Manmohan Singh was ruling the roost as the Finance Minister and later as the Prime Minister, we would often hear the term ‘Manmohanomics’. When people hear such portmanteau words they tend to feel that all these ‘nomics’ are different from each other and they are the original creations of the people with whom the words are associated. Things, however, are different. All these ‘nomics’ with the names of our politicians as their prefixes are simply the plagiarized versions of the original ‘Reaganomics’. Because president Ronald Reagan was the first leader who implemented the laissez-faire aka trickle-down economics, which resulted in the subjugation of the working class and the conferment of the pre-eminent position on the ultra-rich. But even here if you feel that Reagan himself had formulated the Reaganomics, you are grossly mistaken. The famed Reaganomics was brewed by a set of economists led by Milton Friedman and F. A. Hayek. Sometime in April 1947 a group of economists led by F. A. Hayek assembled in a Swiss resort and founded a society called Mont Pelerin Society. The economists associated with this think tank opposed the Marxist and Keynesian economics and abhorred any kind of collectivism. Their ideas were later known to be the ‘neo-liberalism’ and the scholars associated with this thinktank went on to become the advisors to the president Reagan and influenced his economic policies. And President Reagan, surrounded by the Wall Street bankers such as Donald Regan, who famously ordered Reagan to ‘speed it up’, generously gave tax cuts to the tycoons even while trimming the social programs and altering the labor laws which led to their subjugation. When the Washington Consensus was formulated in 1989 by John Williamson, a British economist, he simply summarized the neoliberal prescription made by the Mont Pelerin Society into 10 points. This ten-point program, which gained notoriety as structural adjustment, was peddled as a standard ‘reform package’ for the crisis-ridden third world. The ‘reform’ package is imposed on the developing nations when they approach the World Bank and International Monetary Fund (IMF) for a bailout. The two international financial institutions continue to carry out the neoliberal project with a missionary zeal. Manmohan and Modi have simply been implementing the neo-liberal prescription, in other words, the trickle-down economics with impunity in the garb of economic ‘reforms’. And therefore, there is nothing original in all these ‘nomics’. The ruling dispensation and the media have popularized these portmanteau terms with a mischievous motive to glorify these politicians with an intention to promote the economic and political interests of the top 1% of the society. In 1991 Dr. Manmohan Singh accepted the prescription that came as a precondition for a loan from the IMF and implemented it in the country. Modinomics is only a ‘kadak’ version of that toxic brew. It is all part of ‘laissez-faire devil may care’ scheme and its beneficiaries are the top 1% of the society. This scheme puts the tycoons’ ease of doing business first and the people’s ease of living last. Moreover, it considers any social sector spending that is intended to bring about human development as ‘populist’. Laissez-faire loves economic growth but abhors human development, it loves the ease of doing business but resents ease of living, it likes dazzling physical infrastructure but dislikes social spending, and it advocates trickle down and denounces any eminence to working class. And in a way, it transforms democracy, as the Nobel laureate Joseph Stiglitz rightly stated, into an arrangement that is “of the 1%, by the 1%, for the 1%”. Our politicians and their tycoon cronies are very clever. Even while gaming the policies and institutions in a stealthy and insidious manner to serve their narrow self-interest, they don’t forget to use terms such as human development, democracy, and social integration. They say that ‘their growth’ through whatever ‘nomics’ it is, led to the human development, strengthening of democracy and brought about more social integration. Their statements, which are laden with mischievous use of words that are sacred and convey beautiful ideas, are nothing more than cruel jokes played on the lives of the commoners. It appears that our politicians, who are bereft of any original ideas, are simply imitating the American capitalism by implementing ‘Reaganomics’. If they feel that they can’t do without imitating something American, they had better emulate Franklin D. Roosevelt because the people of India are very much in need of a ‘New Deal’. Therefore, now is the time to replace Modinomics with a New Deal. This entry was posted in Economy and tagged laissez-faire, manmohanomics, modinomics, neo-liberal policies, top 1% on November 18, 2018 by Dr. Ramachandra Reddy. 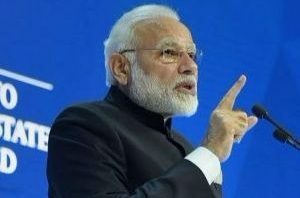 Prime Minister Modi won Seoul Peace Prize 2018. He will be receiving this award for his contribution to high economic growth in India and world through ‘Modinomics’. In this neo-liberal era awards have their own meanings and purposes and let’s not be too concerned about them. However, what we must be worried about is the sheer misuse and abuse of the words that are considered sacrosanct by the society. After the award was announced, the Ministry of External Affairs of India released a statement saying, “the Seoul Peace Prize Committee has decided to confer the 2018 Seoul Peace Prize on Prime Minister Narendra Modi, in recognition of his dedication to improving international cooperation, raising global economic growth, accelerating the Human Development of the people of India by fostering economic growth in the world’s fastest growing large economy and furthering the development of democracy through anti-corruption and social integration efforts”. The three words, namely human development, democracy and social integration stand out in the statement and are incongruous with the words next to them. The mischievous use of these words, which are noble and sacrosanct made me feel really surprised and saddened. Language is not a static object and it constantly and continuously keeps evolving. Words that are sacrosanct and mean beautiful things, when used for unintended purposes very frequently, lose their sanctity and beauty over time. Now the question arises what Modi had done to further the cause of human development, democracy and social integration, that too through his ‘Modinomics’? Weren’t all the ‘nomics’ such as Modinomics and Manmohanomics plagiarized forms of Reaganomics? And wasn’t the Reaganomics based on the neo-liberal prescription given by a group of economists led by Milton Friedman and F. A. Hayek? So, the fact is Modi has been implementing the neo-liberal prescription, which was pioneered by some laissez-faire economists, and was first implemented in the US by the President Ronald Reagan. In 1991 Dr. Manmohan Singh accepted the prescription that came as a precondition for a loan from the IMF and implemented it in the country. Modinomics is only a ‘kadak’ version of that toxic brew, and there is nothing original in it. It is all part of ‘laissez faire devil may care’ scheme and its beneficiaries are the top 1% of the society. This scheme puts the tycoons’ ease of doing business first and the people’s ease of living last. Moreover, it considers any social sector spending that is intended to bring about human development as ‘populist’. The neo-liberal prescription is a conspiracy hatched by a bunch of politicians, economists and their tycoon cronies to further their interests. And a section of the media owned by the corporates worked hard to confer sanctity on the prescription by terming it as ‘reform’. The word ‘reform’ can maintain its sanctity only if it is progressive and can contribute to a greater human welfare. How can a system that subjugates the poor and empowers the rich to further accumulate wealth be termed as ‘reform’? The Modi dispensation, in the name of promoting free enterprise, implements the ‘trickle-down’ economics, which promotes the interests of the ultra-rich on the pretext of accelerating the economic growth. The much touted ‘trickle- down’ never happens and all we see is a great ‘gush-up’, which adds to the numbers of the ultra-rich. Therefore, the claim that “accelerating the Human Development of the people of India by fostering economic growth” is as big a myth as “Lord Ganesha was the first patient to undergo head transplantation”. Coming to democracy, the demonic actions of the current government, which include arbitrary arrests of the human rights activists by branding them as urban naxals, systematic undermining of the democratic institutions such as judiciary, investigative agencies, the RBI and the election commission and passing gag orders on the academia barring them from being critical of the government, all these things point to only one thing. Under the current dispensation there is a speedy corrosion of democracy. And as far as social integration is concerned, we are not witnessing any of it. And in fact, we are only seeing an increasing amount of social stratification. Lynch mobs are thriving on the pretext of protecting cows and atheists are being killed for questioning superstitions, and as a result the divide between various communities only widened. The excessive enthusiasm being shown by the Hindu rightwing to derive electoral benefits from non-issues such as Ram temple and Sabarimala temple verdict is further vitiating the highly charged atmosphere. Their actions are causing a lot of damage to the social fabric of the country and resulting in a speedy depletion of our social capital. So, irrespective of who wins what award, it is the responsibility of the people to safeguard the sanctity of some words that represent beautiful ideas. Because these ideas are cherished by all the people, especially the poor and the downtrodden and stand as a ray of hope for them. They also enable them to feel important and cultivate a sense of dignity. When these words are misused in a mischievous manner with an intention to promote the narrow self-interests of some people, it a sure sign of an impending danger to the ideas and ideals the words stand for. This entry was posted in Economy and tagged modinomics, neoliberalism, reaganomics, sanctity of words on November 4, 2018 by Dr. Ramachandra Reddy.